Halle 902 has recently been shunted a few times at Crich, ahead of its big move to Blackpool which is expected imminently. As previously announced the tram will be stored at Rigby Road for at least two years to ease the tight storage situation at the Crich Tramway Village. After spending many years hidden away in Depot VI, Halle 902 was recently extracted and, after a brief visit to the workshop, it was moved to Depot II. It was then brought outside again on Sunday 20th May – this time being transferred to the front of the depot, ready for departure. The tram has had its pantograph removed and a coupling attachment fitted ahead of its date with a low loader. Despite the transfer of the German car to Blackpool being purely a storage arrangement, a surprising number of people have already expressed their desire to see the tram operating on the Fylde coast, although with so many native trams requiring workshop attention in the years ahead this seems rather difficult to justify. 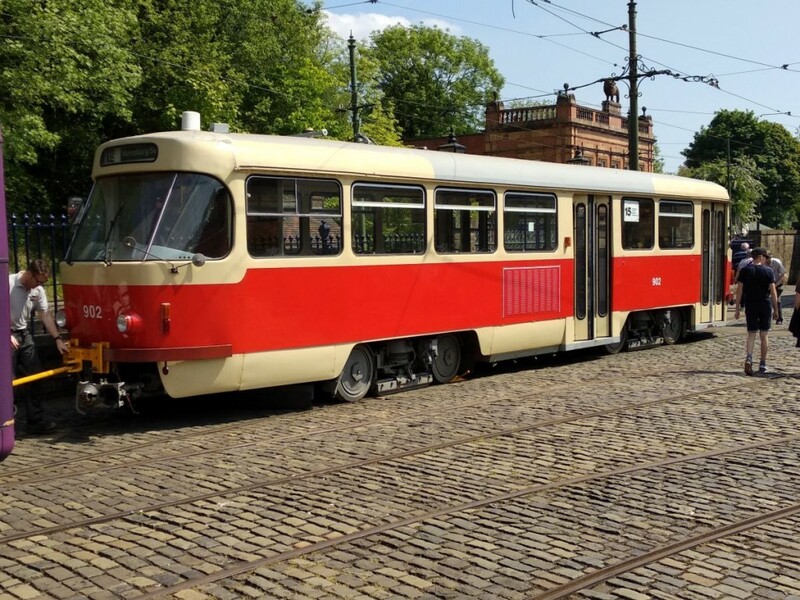 Nonetheless, it will certainly be an interesting addition to the collection of trams based at Rigby Road depot, and is expected to be available for display at various times in its temporary new home. 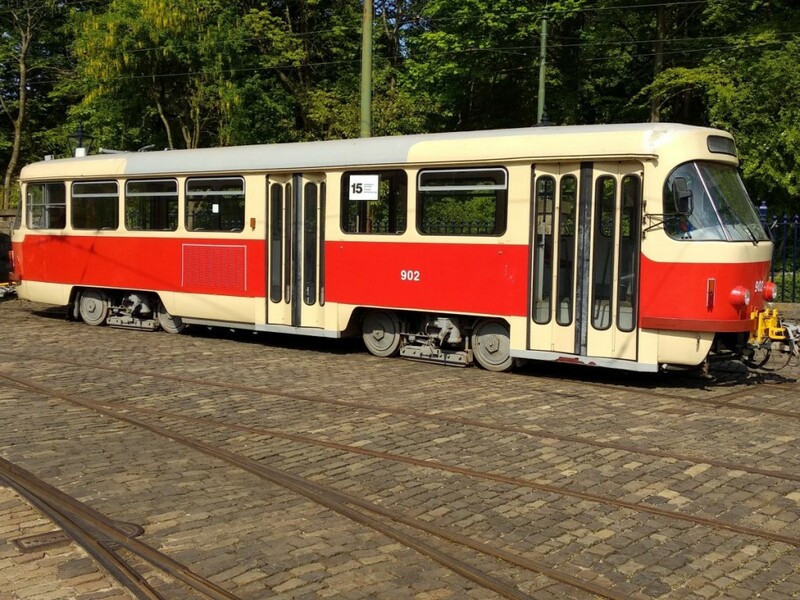 This Tatra tram would be great to ride on the tramroad at Blackpool if it has as good acceleration as the T3s they used to operate in Prague. I hope it can be run. It should be noted that it is only going to Blackpool for storage and not for operation. There are many other priorities for the heritage tram team in Blackpool before consideration should be given to running 902.